This beautifully made motivation journal was designed to foster patriotism and make it a larger part of our everyday lives. 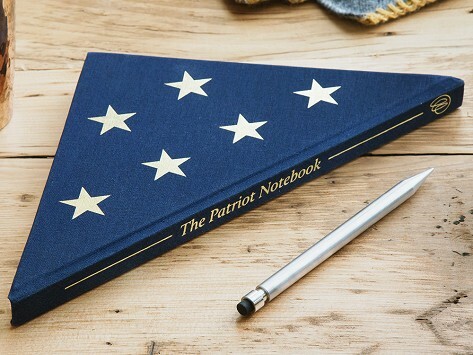 The book mimics a folded flag to pay homage to those who have served, and each journal gives back to military families. Bought this to gift a friend that is veteran, it was very meaningful.